When was the last time you missed out on that sale you were hoping to win? Ever wondered what went wrong? There can be lots of reasons you lost the sale you were hoping to win – but often we focus on the wrong things. There’s a lot to be learned from lost sales that we can take to our next pitch / proposal / sales opportunity. Fortunately, many of the factors that contribute to a lost sale are actually under our own control – which is a good thing as we can do something about them! They believe their price was too high – thinking that either their customer has unrealistic expectations, and/or their competitors are able to deliver a superior solution for a lower price. In reality, very few sales are lost because of price alone and while price is always a factor, it has a lot less weight than most sales people give it. The price goes with the other pieces of the puzzle, so while you surely should look at your pricing and decide whether it’s right, you should firstly see what other factors can be tweaked to help you win more sales at your current price point. Customers often sight price as a reason you didn’t win the sale, but it’s hardly ever the real reason – it’s just a convenient factor which is easy to justify. Have you heard the saying that: “Customers don’t buy from businesses, they buy from people”? It’s true! Make sure you (or whoever is dealing with the customer) develop real rapport before delivering a quote. This means that the customer feels they are personally understood and that they would like to work with you. How do you do that? Ask them questions, get them agreeing with you, get them laughing, demonstrate your knowledge, and above all, show them respect. Even if you did develop rapport, you also have to demonstrate your professionalism and competence. After all, the kid down the road can have a good rapport with your customer but they’re hardly going to win the work. Make sure you get some basics right like professional dress (a company uniform can look great), being on time, taking detailed notes, being respectful of your customer (eg taking shoes off at their house, being understanding of past decisions they may have taken), and leave them liking AND respecting you. Speed sends a message about how efficiently your business operates, how organised you are, and how much you value this customer. Set a goal timeframe for sending quotes to customers after their initial request or your site visit and make sure you stick to it! 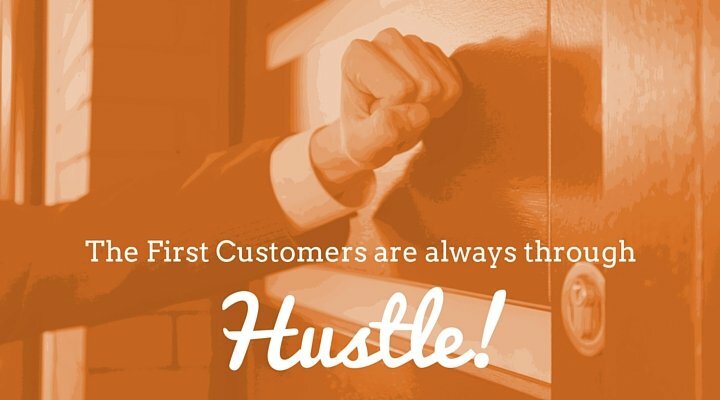 Although this depends on the industry and the complexity of the quote, in most cases small businesses should be able to prepare and send customer quotes out within 2 days. Why do so many small businesses spend precious time developing rapport and designing a great solution, and then deliver a lousy one-page quote containing not much more than a few numbers? It’s time to up your game because the way you present your quote sends a message about the way you’ll work – and no client wants to engage with a business that takes the easiest route possible. Instead, take some time to develop a professional quote template that you can use over and over again. At a minimum, this should include an outline of the client’s wishes / needs, your proposed solution, details about how you work, some reassurance from other clients, etc. 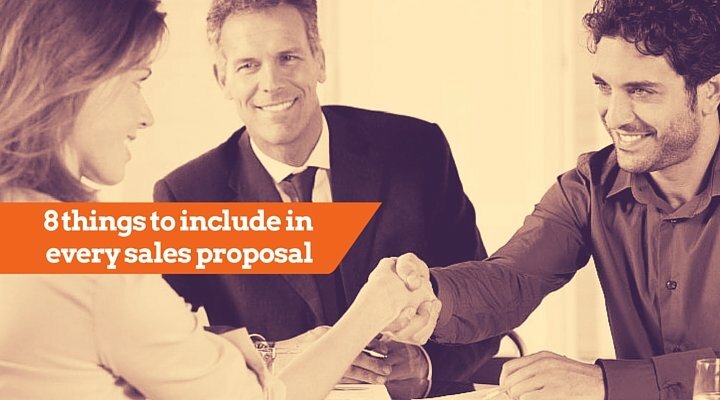 See this article on 8 things to include in every sales proposal. There is nothing that will turn a customer away faster than them feeling as though you didn’t understand their wishes. Take the time to ask all the right questions so that you are on the same page as them. Don’t make assumptions and don’t deliver a cookie-cutter quote just because it’s easier! If your business has a standardised way of delivering your product/solution, you’ll have to take the time to win them over to that way before you send the quote. Your customer will not give you the sale unless they have confidence in your ability to do the work well. Yes, you can explain why you’ll need to use extra equipment, take extra time, research some elements of the work – but don’t make it seem as though this is difficult! Too many times I’ve had tradespeople shake their heads and look worried, or professionals start listing all the problems with my project – this doesn’t make a customer feel comfortable! Make sure your customer feels that you’ve done similar projects before without glitches and you’re looking forward to working on their project. Very few sales will go ahead without some follow up but yet so many businesses just hit send on the quote and hope for the best. Give the customer a day or so to read and digest your quote and then give them a call to discuss their thoughts. (Put a reminder into your calendar so that you don’t forget!) Following up is not seen as nagging, it’s seen as caring! Be there to answer their questions, reinforce your abilities to deliver the solution they want, and start talking about time-frames. Ask them when they want the work completed so that you can work backwards from that and hurry them along. Most customers aren’t looking for the best solution, they’re actually looking for the least risky solution. So while it’s great to explain the bells and whistles of your solution, you also need to spend a lot of time thinking about how to remove the perceived risk for the customer. Make sure you include things like; details about your guarantee / warranty, previous customer testimonials, client reviews, photographs of previous work, information about your qualifications and/or experience, etc. This is especially important if your customer has dealt with another company before and they’ve simply contacted you for a second quote. Remember, the incumbent has a huge advantage so you’ll need to work extra hard to convince them to change suppliers. If this is the case, make sure you find out what they like and dislike about their previous supplier and then find ways to appear better and less risky! Don’t let perceived risk be one of the reasons you lost the sale! 10) The other reason you didn’t win the sale is that it didn’t go ahead! 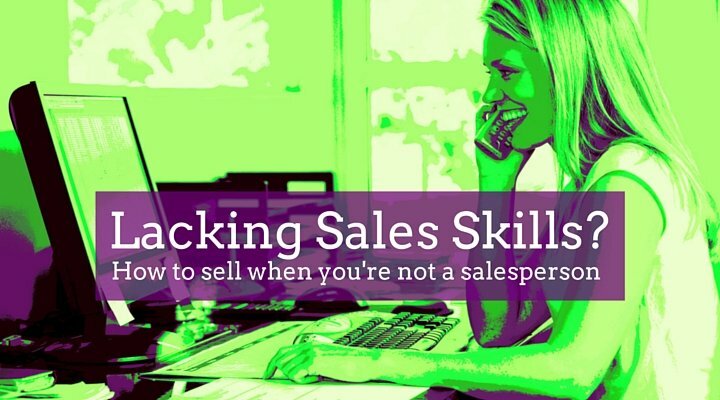 This happens a lot and it’s a real problem because it means that you’re likely to get despondent and put less effort into the next sales opportunity. Not to mention the wasted time and effort! The key is to find out whether the customer is actually serious about doing the work before you send a quote. Find out what the customers timeframes are, whether they have realistic budget expectations, and whether there is anything that would stop them from going ahead with this work / project. In some cases, you might also need to give the customer a reason to go ahead sooner rather than later (eg a price benefit, timing benefit, ability to work with a particular staff member, etc) – otherwise the project can remain on their “nice-to-do” list for much longer than you’d want. Next time you lose a sale, take some time to reflect on the actual reasons you lost the sale and think about which areas could be improved. What was the underlying reason that the customer went elsewhere? Don’t be hard on yourself when you lose a sale, but instead of blaming external circumstances which are out of your control, focus on the learnings which will help you for the next sales opportunity.